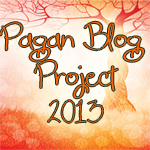 My Pagan Blog Project post for "B" week is about bees. Bees are amazing little creatures. They live and work with thousands of other bees in hives. They are very industrious and work very hard at their assigned tasks to keep the colony alive and healthy. Every day they work their tiny miracle of turning pollen into honey. Along the way they pollinate the flowers as they collect nectar. Honey bees do most of the agricultural pollination in the world and it has been said that without them a large portion of the human population would starve. Honey is worthy of its own post. It's healthy and is a natural preservative because of its anti-fungal and anti-bacterial properties. Honey can remain good for over a hundred years. I have a bee in my magickal supplies. Bees are associated with fertility, community, and productivity. Some cultures have other associations, but those three are pretty much universal. In preparation for writing this post, I did a journey to Bee to ask what message it had for me. It took me on a tour of what it did. We gathered nectar from flowers, transferring pollen in the process. We brought it back to the hive and communicated with others about our find. Then Bee told me something powerful. The things Bee does are for its community. For Bee, community is more than itself or its hive. Community is the flowers it pollinates, the other animals that survive by eating the plant, fruit or seeds that grow because of the pollination. It is also the things that survive off the decay of those other things. Our society is very wrapped up in the individual. It's all about Me. Bee reminds us to let go of our egos and care for others. Even small acts, like pollinating a flower, can have enormous effects. There is magick, even in the little things, if we only look for it. We have three hives. I was very skeptical and fearful when my partner decided to be a beekeeper, but am over that. They are fascinating, gentle, dedicated, and as you've said so well here, all about community and the good of the whole.